Here it is! Remodeled 3 bedroom 1 bath one level living conveniently located at the end of cul de sac with views of Round Lake. Home features an open style floor plan, spacious living room, family room, main floor laundry , private bedrooms, plenty of storage space and single car attached garage. 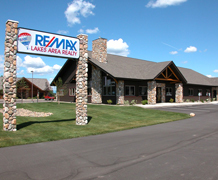 This property is affordable and conveniently located close to lakes, shopping and dining. Must see!